If you had to summarise Da Lat, it would be countryside and waterfalls, and Motorbike is the best way to experience both. Get on two wheels in order to smell the pines, see the flowers, feel the cold air brush your skin and drink in the stunning pastoral scenery. Everyone and their mother (and sister and brother and second cousin) has a motorbike in Da Lat and we counted at least a dozen with “Easy Rider” in the name. A one-day trip is a good way to tick off the must-see attractions, and a multi-day trip is a more interesting way to relocate to another city than a bus ride. The Easy Rider Trips offers: You can ride on your own (be it a regular motorbike or something more powerful), or you can ride pillion, usually on an impressive touring motorcycle with a comfortable seat. Keep in mind that sitting as a passenger gives you the freedom to soak in the scenery and take photos. A Da Lat day trip in the surrounding countryside is US$30. The stock standard tourist sights are some combination of the following: Truc Lam Pagoda, Tuyen Lam Lake (aka Paradise Lake), Crazy House, the Prenn Pass, the “Chicken Village” (K’Ho minority village), Elephant Waterfalls and Linh Phuoc Pagoda. You’ll also likely stop at farms and villages to see coffee, flowers, silkworm and/or mushrooms. The minority villages are real (that is, they are not human zoos) but they have been chosen by the government for visits. Guides also seem to have a set narrative of how the government has greatly improved their lives with schools, health care and electricity. Companies are usually flexible with customising trips. For example, if you’ve already seen Elephant Waterfalls, you can visit Pongour Waterfall instead, paying a little more to cover the extra distance. Overall it is difficult to break the mould – this isn’t off the beaten track stuff here – but the beauty of the Da Lat countryside is undeniable and average folk will be thrilled with the whirl through quiet rural scenes. A multi-day trip, ending in another city such as Nha Trang, Mui Ne, Ho Chi Minh City or Hoi An via the Central Highlands. How to choose a company isn’t an exact science and can be tricky. Sometimes it is the luck of the draw with what guide you get. Some guides are engaging while others will leave you wondering if you’ve paid for a trip that could have been done by xe om, having not added any value to the journey. For peace of mind – especially if you are shopping for a multi-day trip – it’s not a bad idea to meet with your potential driver in person, gauge how professional they are, discuss the itinerary, go over what is included in detail and pick out a helmet that fits. Try getting a referral from another traveller who’s just done a trip. Vietnam Easy Rider Group is a Motorbike Tours Organized Company which has long experiences in organizing the Easy Rider Tours not only in Da Lat, but also in any cities in Vietnam. Our guides are excellent & experienced drivers, very good English speaking, friendly and outgoing. We very flexible in organizing the route and recommended different ways, depending on construction work along the roads or your personal interests. 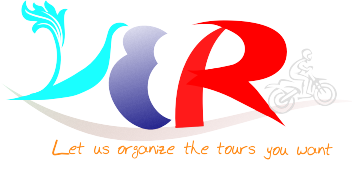 Please CONTACT US, we will organize the tours as per your requests.